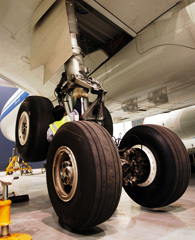 With over 40 years experience in component repair management Trans-Aero is your one stop solution. As a major stock holder and service provider Trans-Aero has developed strong relations with many of the leading MRO’s around the world. For a total airframe and engine solution Trans-Aero can deliver a high quality and efficient repair management program at an economical price. Repair Management Services are available for the majority of commercial, regional aircraft and the majority of engine types in operation today. When it comes to repair management our knowledge and resources are second to none, with over 1,300 MRO's at our disposal we can reduce your turn around time (TAT), reduce your repair cost and keep you flying !